In the state of Chhattisgarh, the chief minister, Raman Singh, has promised a smartphone in every home — and he is using the government-issued devices to reach voters as he campaigns in legislative elections that conclude on Tuesday. The social media posts of American citizens who don’t like President Donald Trump are the focus of the latest US military-funded research. The research, funded by the US Army and co-authored by a researcher based at the West Point Military Academy, is part of a wider effort by the Trump administration to consolidate the US military’s role and influence on domestic intelligence. It’s no secret that the Pentagon has funded Big Data research into how social media surveillance can help predict large-scale population behaviours, specifically the outbreak of conflict, terrorism, and civil unrest. Much of this research focuses on foreign theatres like the Middle East and North Africa — where the 2011 Arab Spring kicked off an arc of protest that swept across the region and toppled governments. Since then, the Pentagon has spent millions of dollars finding patterns in posts across platforms like Facebook, Twitter, Instagram, Tumblr, and beyond to enable the prediction of major events. But the Pentagon isn’t just interested in anticipating surprises abroad. The research also appears to be intended for use in the US homeland. Datasets for the research were collected using the Apollo Social Sensing Tool, a real-time event tracking software that collects and analyses millions of social media posts. The tool was originally developed under the Obama administration back in 2011 by the US Army Research Laboratory and US Defense Threat Reduction Agency, in partnership with Rensselaer Polytechnic Institute, the University of Illinois, IBM, and Caterva (a social marketing company that in 2013 was folded into a subsidiary of giant US government IT contractor, CSC). Past papers associated with the project show that the tool has been largely tested in foreign theatres like Haiti, Egypt, and Syria. The millions of tweets were used to make sense of the “frequencies of the protests in 39 cities” using 18 different ways of measuring the “size, structure and geography” of a network, along with two ways of measuring how that network leads a social group to become “mobilized,” or take action. In short, this means that “the social network can be a predictor of mobilization, which in turn is a predictor of the protest.” This pivotal finding means that extensive real-time monitoring of American citizens’ social media activity can be used to predict future protests. “Facebook was the source of the psychological insights that enabled Cambridge Analytica to target individuals. It was also the mechanism that enabled them to be delivered on a large scale. 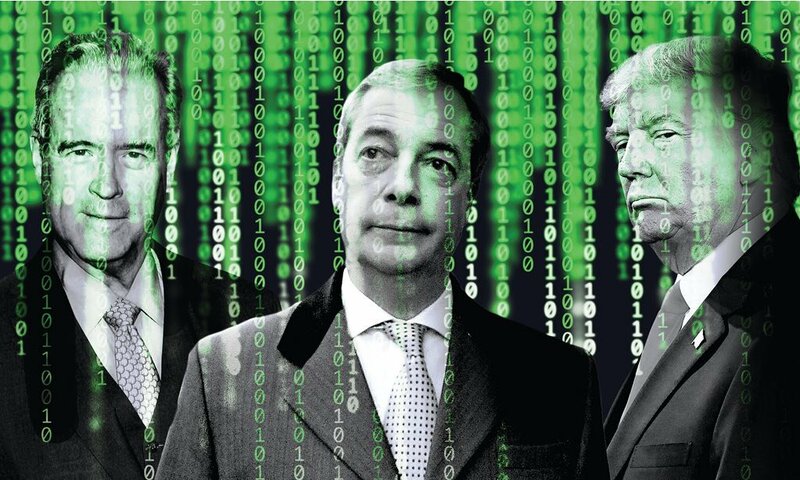 The company also (perfectly legally) bought consumer datasets — on everything from magazine subscriptions to airline travel — and uniquely it appended these with the psych data to voter files… Finding “persuadable” voters is key for any campaign and with its treasure trove of data, Cambridge Analytica could target people high in neuroticism, for example, with images of immigrants “swamping” the country. “What’s on your mind?” It’s the friendly Facebook question which lets you share how you’re feeling. It’s also the question that unlocks the details of your life and helps turn your thoughts into profits. Facebook has the ability to track much of your browsing history, even when you’re not logged on, and even if you aren’t a member of the social network at all. This is one of the methods used to deliver targeted advertising and ‘news’ to your Facebook feed. This is why you are unlikely to see anything that challenges your world view. This feedback loop is fuelling the rise and power of ‘fake news’. “We’re seeing news that’s tailored ever more tightly towards those kinds of things that people will click on, and will share, rather than things that perhaps are necessarily good for them”, says one Media Analyst. This information grants huge power to those with access to it. Republican Party strategist Patrick Ruffini says, “What it does give us is much greater level of certainty and granularity and precision down to the individual voter, down to the individual precinct about how things are going to go”. Resultantly, former Facebook journalist, Adam Schrader thinks that there’s “a legitimate argument to this that Facebook influenced the election, the United States Election results. 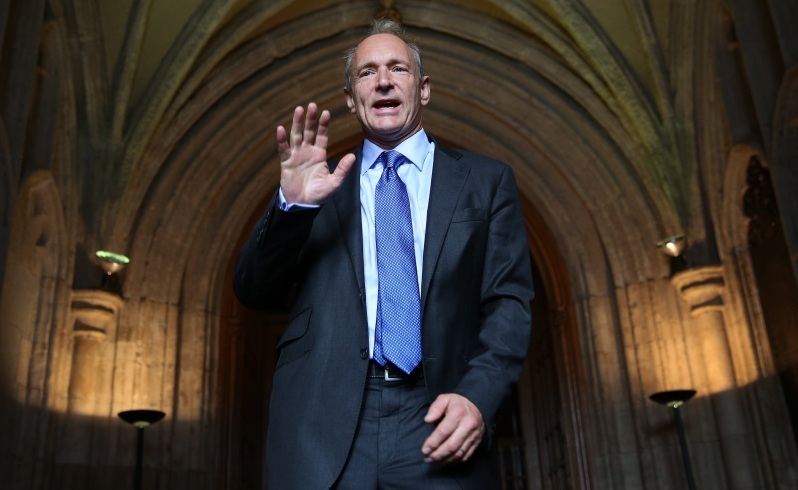 “Tim Berners-Lee, a computer scientist who invented the web 25 years ago, called for a bill of rights that would guarantee the independence of the internet and ensure users’ privacy.